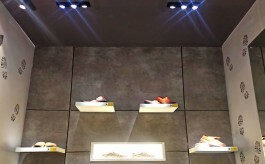 Argo Lighting company has designed new LED products to improve the retail experience for customers. The new lighting modules meant for store show windows and trial rooms reflect minute jewellery detailing. Mumbai-based Argo Lighting has developed three noteworthy LED technology products for store show window, trial rooms that highlight intrinsic details of jewelleries. 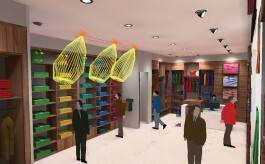 It has designed a futuristic ‘Tunable show window’ to make store show windows more vibrant and eye-catching. The show window basically helps in highlighting the effect under different colour and light conditions. The colour temperature of individual light sources in the show window varies from 2,700KW to 5,700KW. The tunable show window reportedly has a high degree of luminous efficiency with excellent CRI (colour rendering index) values. It also features a simple plug and play connection. For the trail rooms, Argo has designed a ‘Trendy Trial room’ concept. The idea here is that the colour temperature of the trial room depends on the product it is illuminating. The focus again is on creating key customer experiences that build sales and brand loyalty. Pre-programmed panels help retailers make the products appear in the best possible way. The trial experience patterns follows four colour temperatures – elegant warm (3000KW), delicate daylight (4000KW), trendy white (5000KW) and classy cool (6500KW). ‘Denver RT’: A rotating downlight which has built-in motor. It produces the moving light beams by automatic rotation. ‘Trenton A mini’: It is a LED mini track spot light that fits in cabinets and glass tower units. The track spots have magnetics base and is mounted on magnetic track. 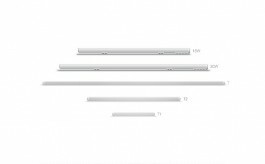 ‘Light Stand’: It is a LED display bar lights which provide sharp and focused light by using stand lights inside glass tower. It also provides flexibility of tilt angle adjustment. ‘Denver mini’: A mini spot light mounted above the jewellery case to highlight the product. It provides sharp beam of lesser wattage.